^ that didn’t work with me. Just an FYI. "Now let me tell you, Brian's genius music and Mike's just super cool lyrics, it's totally rad!" For those new to the party, I was waiting in a specific location given to me to meet John Cowsill after a concert to have my photo signed, near the tour bus...like 15-20 feet from the bus. As each band member came out to go on the bus (Mike included) I said Goodnight and thanked them for a great show, they all replied accordingly and kept walking. Out comes Bruce...I think I managed to get out "Hi Bruce, Great show..." before I was interrupted with him screaming "NOPE! NOT GONNA DO IT!" (I can only assume that he assumed the photo in my hand was for him to sign) so I replied "I'm sorry, I'm waiting for Mr. Cowsill to sign my photo." as he walked to the bus, stomped up the steps and shouted "Well all RIGHT then Mr. MAAAAAAN" and slammed the door to the bus. Bruce is Stephen King fan? Evil nurse Annie Wilkes in "Misery" tells the same to the writer she's obsessed with everytime she gets angry. F.ex. when she slapped his numb legs with expensive paper she bought him as he said it didn't suit, buy the other paper. saw the Mike and Bruce show 2 nights ago, the 19th. I have been fortunate enough to meet the guys several times over the last 20 years, and Bruce truly is a Jekyll and Hyde. All of the other guys have always at least been consistent. This was my 17 years old daughter's first time meeting them. Fortunately, we got the "good" Bruce. He was engaging, talked for several minutes and discussed pieces of the group's catalog with her. I do wish everybody had this same experience with him. Saw the Winery show on 9-16. Christian was back, vocals not as good as when I last saw them. They did unleash the love. The show and music had improved over the years but either this was an off night or they are losing ground vocally. They usually jam pack the schedule in the late summer, with few nights off. I've noticed for years now that shows in the middle or near the end of long runs with few if any breaks tend to have the band in lower energy and sounding not quite as sharp. It's the cost of trying to always shoehorn in 150 shows per year and play every theater, amphitheater, winery, casino, fair, and bowling alley they possibly can. I went ahead and bought tickets for the front row of the balcony at The Lyric for the Baltimore date next month. What the heck. Let's give the Christmas show a shot. The Glen Miller Orchestra has a number of dates left in this year's touring schedule, the next being December 9th in Newton NJ. How many original members I wonder! I'm Glen Miller Orchestra fan - great music. I just wrote a big review of the show tonight and my internet was lost and with it, the post was lost. I'm not typing it again. The band was in very rough shape tonight. The first half was far less than okay, and many people in my section noted it. "Darlin" actually crashed and burned when Cowsill missed a fill and the whole band froze for about three seconds looking panicked. Mike and Bruce look and sounds damn rough. The band was not tight in fact, it was quite messy. I point this out because it is not the norm. I was quite shocked. Part Two was better, but still rough around the edges. It was wonderful to hear the old Christmas music that I never thought I'd hear live. Mike is singing with the recording of himself on his new Christmas songs. 2018 was not a good year overall for Beach Boys live and I hope that doesn't mean we've passed the point of no return. Mike, Brian, and Bruce are not in good voice. Mike's band is not the tight and well-oiled machine they have been from like 2013-2017. Perhaps this is because they've had more of a revolving door lately. The highlight of 2018 by a landslide, is Al Jardine's Storyteller Shows. If your concert budget allows one Beach Boys experience, that's the way to go. His voice still sounds like 1965, his stories are down to earth and honest, his son is a huge asset to the show, great setlist that allows for fan input (Santa Ana Winds from yours truly), and there's a free meet-and-greet afterwards. What's not to like? Makes me upset to read this. Perhaps this is the end of the line? What does one even do at this point? This is surprising to me. I saw them in early summer this year. The band was tight both vocally and instrumentally, Mike and Bruce sounded pretty good, and the crowd was into it 100% of the time. Does anybody find it odd that "The Beach Boys" are suddenly starting to not perform well at the exact same time that there is all this concern for Brian? I've seen reviews (and also seen/heard recordings of shows) that demonstrate Mike's band has its ups and downs as well. That pro-shot private show from last year that disappeared pretty quickly had the band in relatively ragged form, surely due to excessive touring (the 14 shows in 15 nights sort of thing I've talked about before). I also think both Mike and Brian (and probably Bruce though we don't hear much singing from him) are continuing to (understandably) see aging-related issues, completely separate from any other potential issues they might have going on. They're coming up on 80 years old. They've both shown much more longevity than most fans would have ever expected, but even if the "aging process" isn't as noticeable for them as we my have thought decades ago when pondering the idea of 75+-year-old BBs touring, they are still aging, even if more "slowly" than some others have. Except Al Jardine. He defies nature. I challenge anybody to find someone who can sound so markedly similar to how they sounded 50+ YEARS AGO. I guess it's too cold and cynical (and unrealistic) to suggest Mike and Brian go into semi-retirement and let Al go out there to "keep the name alive", but one has to ponder it. Ideally at this stage, I think a lot of fans would be happy to see everybody take some time off next year, and then regroup for a TRUE "farewell" tour, and then anybody that wants to keep doing *less hectic* touring could continue to do so either under their true solo names, or work out some sort of branded BRI thing to equally use the BB name to sell their respective solo shows and also "keep the name alive", somthing like "The Beach Boys Present Mike Love", "The Beach Boys Present Brian Wilson", "The Beach Boys Present Al Jardine." Not really. I saw M&B in early July and it was the roughest I've seen them. Mike's voice is showing his age for sure, as are his movements on stage. This is not the Mike of the C50. And honestly, a lot of it comes down to age. Brian and Mike are not spring chickens, and they've both got gruelling tour schedules that would exhaust many people decades younger than them. I think with both bands the overdoing-it factor is a major part of the issues we're seeing. Mike and Bruce, in particular, keep a touring schedule that is absolute madness. If they would slow down and not run themselves ragged I think it would result in an improved performance. Mike makes a mention of the hectic touring schedule of the current group in his autobiography, and it's kind of interesting(to me, at least). He basically says it goes back to the time in the late 1960's and early 1970's when The Beach Boys really had to hustle and work their butts off to more or less save and rebuild their career. Mike more or less admits to a lingering fear that it could happen again. That could factor in, but I think that also ignores some of the other obvious potential reasons: Lots of money, and also a sort of "possession is 9/10 of the law" sort of mentality in the last 20 years of keeping *his* thing going so it can't revert to other hands. Make no mistake, Mike likes being the "face" of whatever the Beach Boys on a live stage are at this point. I find it hard to believe fear of, what, going broke?, would be a huge factor. Perhaps to some degree, people's brains can do weird things. But given his openness in sharing his extravagant, lavish lifestyle on Facebook (look, we need a 20-foot-latter to decorate the tree! ), anyone would be hard pressed to think Mike would be living in the gutter if he just scaled back touring. None of them have the tact to bow out gracefully with a farewell tour...there have been countless opportunities in the past oh...forty years or so, to do something like that and it could have left them in such a better place. It'll never happen. I wouldn't necessarily say they'll never perform together again. But with Mike, Bruce, and Brian don't even have their 2012 chops anymore to do something on a C50 scale. To market them at that height, in those kinds of venues...would end up being an embarrassment. I've said it before, I'll say it again...as a fan (not making any judgements or assumptions), I'd like to see "The Beach Boys" defined as Brian Wilson's touring band with John Cowsill and Scott Totten...fronted by Mike Love, Al Jardine, and David Marks. Mike brings the signature showmanship that, like it or not, is associated with the attitude of this band on stage. Alan brings authenticity in his vocals and sincerity that can't be replaced. David brings some sick guitar licks and adds to the authenticity. Bruce Johnston is disposable. He played his keyboard audibly, one time Sunday night on "White Christmas" and it was just poorly timed rolling chords on the downbeats. His vocals are like a notch between a crackle and a whisper. He can surf his days away in Santa Barbara. And then there's Brian. I'd like to see Brian given a free pass. If he wants to come along, there's a keyboard and his lead vocals are waiting for him. If he doesn't feel up to a run of shows, then the production can run all systems go without him present as it has many times before. The key would be to never advertise or confirm his presence, and that any extended expense of his travel beyond what the rest of the band requires, is covered himself...as that simply isn't fair to people who are out year round making a living off this. BUT...that'll never happen. Of course, timing plays a part, but I suspect Brian's show will stop before Mike's does. I'd imagine his band will split and find their own work, very easily, elsewhere. Blondie will disappear back into the darkness, and Alan will continue with his couple dozen solo shows a year. When it's time for Mike to stop or he is stopped by higher powers, I have zero doubt that "The Beach Boys" will tour. The rock and roll answer to the Glen Miller Orchestra. I doubt Bruce would stay without Mike. Would David and/or Alan for that matter, be invited without the Lovester around? Would that then give Bruce reason to stay? All interesting thoughts for sure. I should have known not to post that. 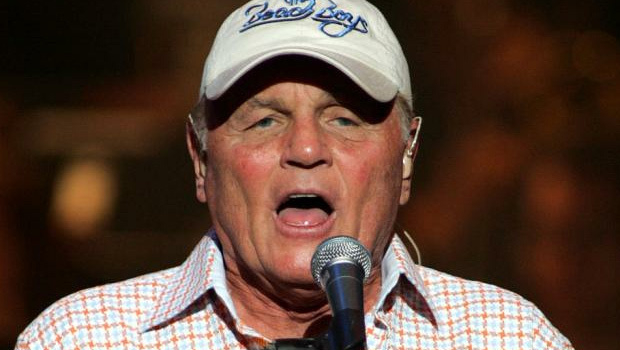 Of course, why have a deeply rooted psychological and plausible reason, when we can just blame evil egomaniac Mike Love's greed for money and power as the leader of his Beach Boys. Sometimes I forget which board I'm on. This constant hate is getting tiresome and old. As for Mike singing with a recording of himself, I'd like to say I'm indifferent, because I've had singers I play with or promote sing along with recordings of themselves to get a richer, double tracked, sound. but I'd rather just have Mike sing by himself, and hear a few bad notes. I doubt the thought behind Mike doing this is to achieve a double tracked sound however... If it's because his voice isn't strong enough, then why don't they have him do that on all the songs? Why just the new ones? Maybe because he can't remember the words? Well if that's the case, if he forgot to the point where he stopped singing, and the pre-recorded track carried on without him, that would be super awkward... I guess if he is still singing and it's just as, if not more, audible than the pre-recorded track, I suppose I'd be fine- as long as it's not like Frankie Valli just straight up lip syncing. But again, I'd still just rather hear Mike's voice, warts and all. As for the band being tight or not tight, I'd say that's a night by night thing. Playing music isn't easy ... especially Beach Boys music. Very Complicated harmonies and chord changes. So with that being said, I understand the band sounding really tight some nights, and not so much other nights. Their hectic touring schedule obviously doesn't help. I've seen Mike's band four times since 2014, and I have always thought they sounded incredibly tight, with the exception of the most recent time I saw them in August of 2018. They were still tighter than most bands I've ever seen, but we're sometimes spoiled with both Mike and Brian's respective bands, and we get used to literal perfection. Yes, I said it- perfection. There have been times where I've been watching both bands either in person or on the internet, where I've been blown away by the beautiful BBs sound both bands can conjure up... At this point, with Mike and Brian both nearing their 80's, both of their voices and stage presence have declined. But seeing either of those legends in person (with Bruce or Al/Blondie) is worth the price of admission. Wow, I didn't expect to get so off topic... As for everyone saying 2018 wasn't a great year for the group, remember this- Brian, Mike, Bruce, Al, and Blondie are still 1) around and 2) performing, so we're extremely lucky for that. We also got a new album from Mike, and despite how you may feel about Reason For The Season (reviews seem pretty mixed), it's still very impressive to see any of the guys in studio working on new material. We also got the Royal Philharmonic album (again, with mixed reviews) but that climbed to the top of classical charts, another cool accomplishment for the band. We also have the '68 boxset coming out anytime now, which is sure to be mind blowing... The guys also reunited for the first time in years!! Who the hell thought that was gonna happen?!!?!?! So, sure, the guys might be in rough shape vocally (some more than others) and the albums we've gotten so far (RPO and Reason For The Season) may not be classics, but they both have their moments, in my opinion, so 2018 may have not been a perfect year, but it was a damn good one. I would want to see this, but leave out Cowsill and keep Brians band intact with the addition of Scott.. It would actually be amazing if Brians band would carry on after Brian retires, I'd really want to see a tour with the band on it's own bursting out the hits - they were always the superior backing band between the two imo..
Powered by SMF 1.1.21 | SMF © 2015, Simple Machines Page created in 0.117 seconds with 21 queries.